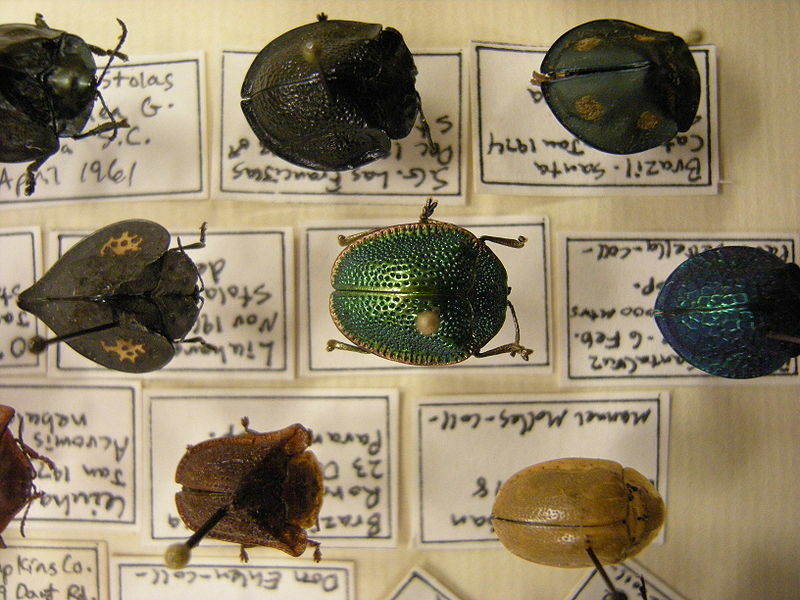 Charles Darwin had a passion for collecting things from a very young age. 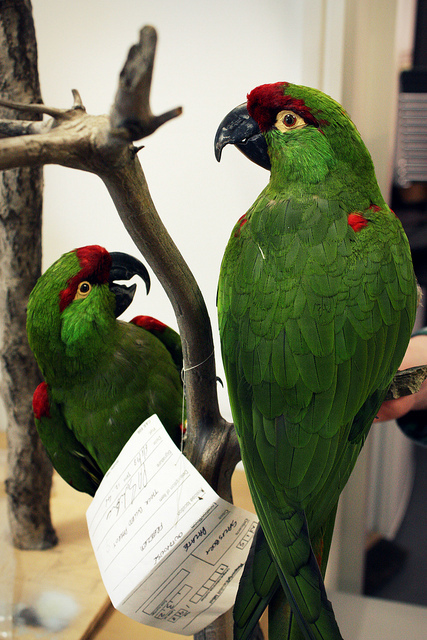 From bugs to plants to birds’ eggs, this hobby would help him build an impressive collection of specimens whilst on the worldwide voyage. 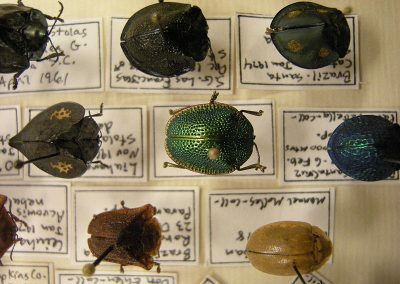 Darwin would collect his specimens in a variety of ways including Taxidermy, preserving organisms in jars and using boards and pins to display insects and beetles. 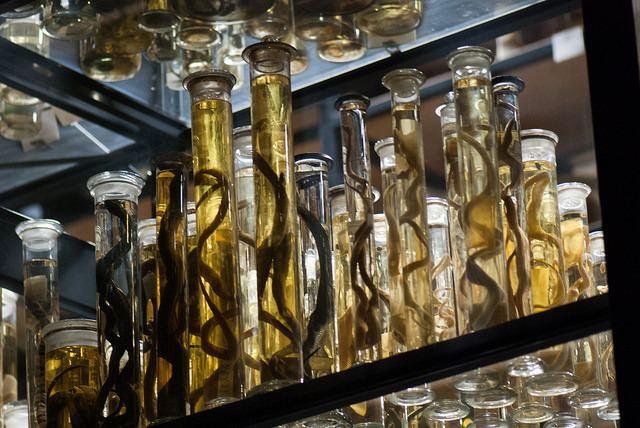 If Darwin was particularly interested or excited about a specimen he had collected during the voyage, he would send it back to one of his expert friends at home for their opinion. The rest of his samples were stored in crates until he got back to England. These crates would have been very big. 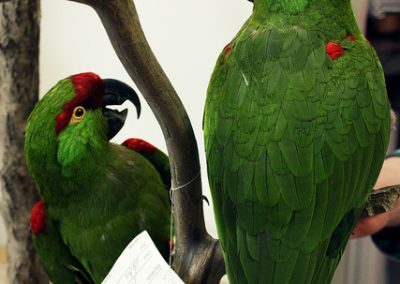 As Darwin collected so many specimens there were soon crates all over the ship! 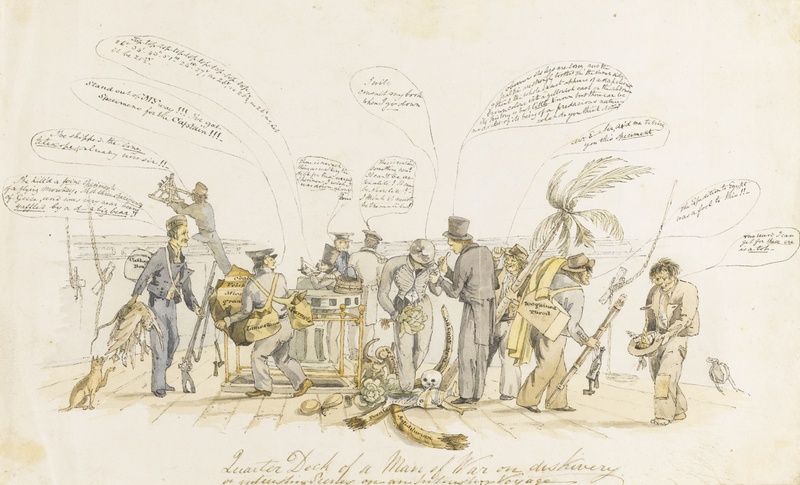 The ship’s artist, Augustus Earle, even painted an image of Darwin and the crew of the Beagle gathered around the many crates. Darwin had been invited to accompany the expedition on HMS Beagle. As a private naturalist, rather than the ship’s naturalist, however, he had to pay for his trip. 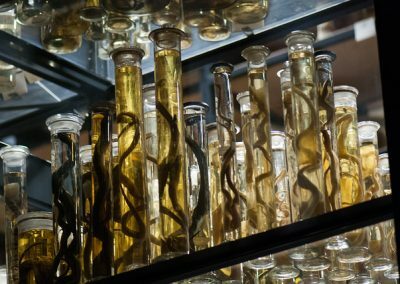 This meant that he was able to keep all the specimens he collected because they belonged to him and not the expedition organisers. When he returned to the UK it was quite a task to think about what to do with all the specimens he had brought back! Eventually, however, this unique collection would help support his Theory of Evolution by Natural Selection.